how do i prepare for the first day of finish fit boot camp®? This one is pretty obvious, but proper workout clothes can make or break a class! We are all about helping you get into those skinny jeans, but save them for after class! T-shirts and shorts can't be beat for summer! Another tip: make sure your clothes will stay on you! We have seen some unintentional exposures during jumping jacks, running, and squats! Make sure your clothes are as committed to your program as you are! When the whether is cold, dress in layers ...even when it's cold, you will warm up quickly! A towel (Its invaluable when you need to wipe the sweat out of your eyes, and, we want a barrier between you and the grass for ab and yoga work.) ; yoga mat; gloves or mittens; Recovery Rations! Keep a few easy snacks handy for post workout to encourage fat loss or for a boost during class! Where are the finish fit boot® camps held? Am I required to attend a Pre-Boot camp "Debriefing"? An overview of Finish Fit Boot camp® and introduction to your instructors. We will weigh you, take a few body measurements and test your body fat percentages to see where you are prior to beginning boot camp. All of this information is recorded in your Finish Fit Boot camp® Journal which we give you to keep. We aren't so much concerned with these numbers on day one - it's the numbers at the end of your Finish Fit boot camp that will show your progress. We simply need a starting point by which to compare your final day numbers against. We guarantee that if you follow the boot camp guidelines, you WILL SEE A CHANGE IN ONLY 4 WEEKS! We will take you through a series of exercises to chart your fitness level at the beginning of Boot camp. You will receive your Boot camp Guide and Food Journal and directions to our "home base". We will spend time discussing prior injuries, concerns and goals and answer any remaining questions you may have. This entire meeting takes approximately 1 hour. 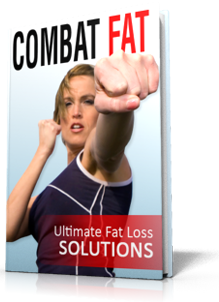 what is the length and cost of "finish fit boot camp®"? Do I get a discount if i refer a friend that signs ups for a paid boot camp? Yes! If a friend you refer signs up for any one of our paid boot camps, you will receive 1/2 off your next month's payment. If you paid in full, another 2 weeks of boot camp will be added to the duration of your paid boot camp. morning Classes are held mondays, saturdays at 6:30 AM and every sunday 11:00 am - 12 pm . evening classes are held every tuesdays, thursdays 7-8 Pm. you must arrive 10 minutes prior to boot camp and sign in online. What if I miss a day of Boot camp? Can I make it up? Yes! you can attend any of of our available classes at no extra charge (within the duration of you contract). attend 1/2 hour a day, 1 hour per day, or attend both morning and evening classes. its ups to you. your results will depend on the effort you put in. Most people feel some soreness after their first few boot camp classes, but this soreness only lasts for about 2-3 days. After that, each day's workouts will become less and less stressful to your body and your muscles will begin to adjust. Expect soreness, however, as it is part of the process and proves you are changing your body! Is there class when it rains? Living in So. California we are fortunate not to have this be a concern for most of the year, however it does occasionally rain in the winter and should the conditions be too severe to tackle, we MAY CANCEL THE BOOT CAMP. he instructors will determine whether or not THERE WILL BE class AND will notify you by way of text OR EMAIL. Usually we will hold class in the rain unless there is the threat of lightening or flooding. Nobody ever said boot camp was easy – it’s more fun to workout in the mud anyway! If you have doubt, you can always call your instructor before leaving for class to be sure. does that mean my workout is cancelled or i get additional sessions because of the cancellation? no. you can use finish fit® app and complete a class from a selection of over 500 classes. Can I really expect to see results in only 4 weeks? Yes! Performance improvement can take place in as little as three days. "Visual Improvement" can take from two to four weeks depending on your effort level. It’s not uncommon to see a camper go down 1-2 inches around their waist within the first session of boot camp. Another way to see results is in your final evaluation. On the final day you’ll see just how much you’ve improved in your physical test! This is always my favorite day because it’s not all about the inches and pounds, it’s about being able to increase your pushups from 1 to 20, or your sit ups from 10 to 40! what is the Skinny Jeans Reward Policy? Upon the completion of the 12 month Finish Fit Boot camp, winners of the Skinny Jeans Contest (those who reach their assigned body weight and body fat percentage) have up to thirty (30) days from t completion date to purchase a pair of jeans of his or her choice and present the original receipt to Finish Fit®, LLC. Upon member's delivery to Finish Fit®, LLC of the original receipt, members will be reimbursed for the exact purchase price of the pair of jeans an, in an amount not to exceed $100. yes! YOu must give notice of cancellation via e-mail to Finish Fit®, llc at support@finishfit.com five business days prior to the scheduled monthly debit date, which will be the 1st of each month. Cancellation requests received after this deadline will be charged in full for the next month’s services. Please note, even if you notify instructor, you still are required to send an e-mail to support@finishfit.com to cancel this Agreement. Such e-mail will serve as your cancellation receipt. If for any reason a Finish Fit Boot camp is cancelled before its completion date, a $50 reimbursement fee for every debit date prior to receipt of the cancellation notice shall become due and will be debited from your payment account immediately. In no event will the collected reimbursement fee exceed the total remaining balance under this Agreement. your membership will automatically continue on for the preselected term following the firs full period and will be considered active until such program has been cancelled as provided for in this cancellation policy. If by reason of death or disability, Client is unable to receive all Finish Fit Boot camp® services for which you have contracted, your and your estate shall be relieved from the obligation of making payment for services other than those received or obligated prior to death or the onset of disability, and if you have prepaid any sum for services, so much of such sum as is allocable to services you have not taken shall be refunded. Is there a guarantee policy? yes! There is a 30 Day Hassle Free Money Back Guarantee. If, for any reason whatsoever, YOU ARE not completely satisfied with the services provided within the first 30 days following the date signed below, simply let Finish Fit®, LLC know via e-mail at support@finishfit.com that you would like to cancel your program and we will issue you a full refund. After the initial 30 day period, all prepaid payments are final and non-refundable, except as provided for in the cancellation policy. This program is backed by our very unconventional FINIsH FIT®, LLC Guarantee- If you EVER fall out of shape after you graduate your 12 month program, we will train you, for FREE, until you get back to your graduation weight! Can i test drive a finish fit boot camp® or a finish fit® personal trainer? YES! IF YOU'VE NEVER BEEN A FINISH FIT BOOT CAMP® MEMBER YOU MAY TRY ANY FINISH FIT BOOT CAMP® FOR 1 session "FREE". In order to do so you must contact us at support@finishfit.com, create a free membership account on our website (at log in), fill out medical liability and waiver release forms, and check in with finish fit trainer 10 minutes prior to boot camp (if you do not have access to the internet the trainer will do that for you at location). you may get 2 free consultation sessions with a finish fit® personal trainer. The first session will involve a complete body diagnostic that includes body weight, body fat, blood pressure, Functional MOVEMENT SCREEN (FMS), vo2 max, muscular strength and endurance, and flexibility measurements and tests. The second session will involve physical training. That is, the trainer will actually train you based on a pre-planned written program tailored to your goals and and based on your assessment results. What is the cost of finish fit personal training®? Finish Fit personal training® prices and packages vary with trainer. we cannot quote you a price prior to assessing you because without an assessment we cannot know the time and the number of sessions it will require to help you achieve your goals. we can tell you, however, that the price per session decreases with larger finish fit personal training® packages. you must create a free account on our website (at log in) and sign the medical liability and waiver release forms prior to receiving your 2 complimentary sessions (if you do not have access to the internet the trainer will do that for you at location). to schedule your complimentary sessions, please contact armen at support@finishfit.comus "toll free" at [1-855-fit-line (ext. 101)] or 1-855-348-5462 (ext. 101). what do i do on the days that I'm not with my trainer? your trainer can send you a custom workout delivered to your mobile device using finish fit® app for an additional cost, or you can choose from one of the pre-built workouts on the app at no cost. can i subscribe to the finish fit® apps for boot camp, personal training, and nutrition without joining the finish fit® nutrition program, finish fit Boot Camp®, or Finish Fit personal training®? Yes. You can purchase access through the finish fit shop. can I get finish fit® app for personal training if i'm doing boot camp or vice versa? No! you may only use the app for the services you have opted for. So, are you ready to start burning calories and having fun?